This is our most popular Bloody Mary recipe. We serve it at events, trade shows, and the Tasting Room to rave reviews. 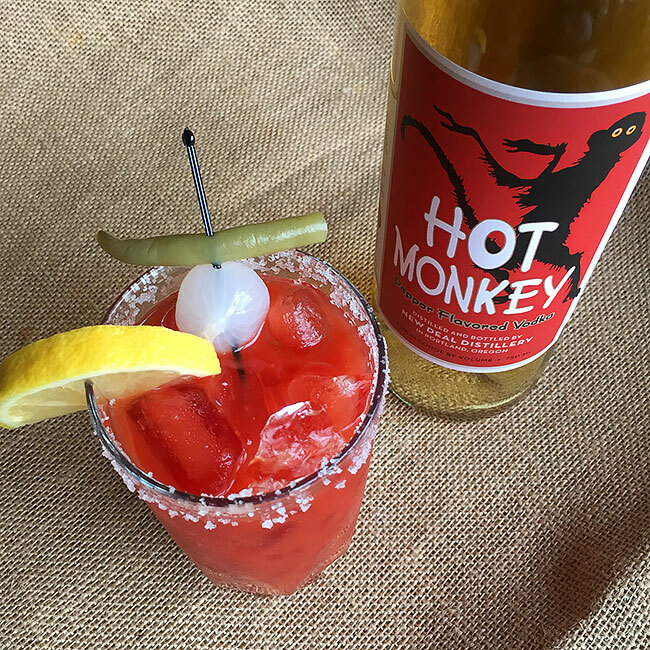 If our Hot Monkey Pepper-Flavored Vodka has too much of a kick for you, try substituting our Portland 90 Vodka instead. Mix ingredients well and serve over ice. Garnish with citrus and your favorite pickled goodies!